Each class meets once for a total of 2 hours of instruction. Participants will learn basic skills required to paddle a kayak safely and effectively. Using sit-on-top kayaks, participants will learn how to control the kayak safely. 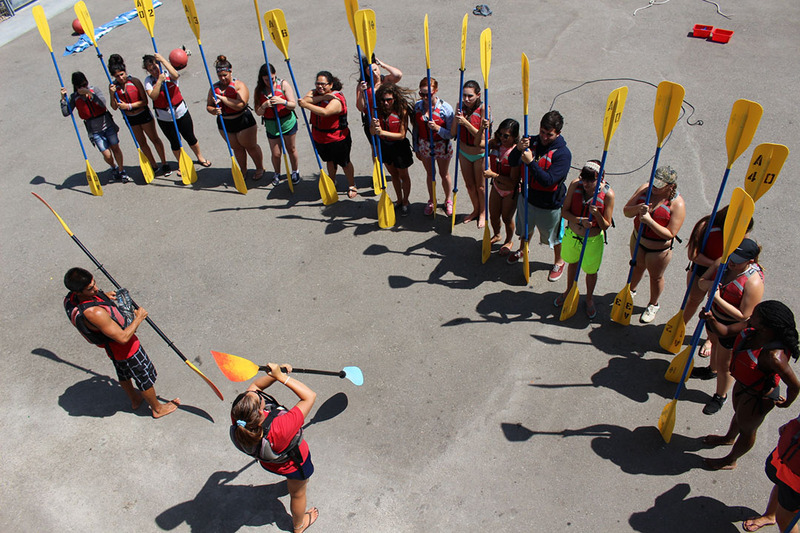 Participants will learn maneuvers and techniques that make kayaking safe and fun before touring the Channel Islands Harbor for a chance to use these newly acquired skills in action. It is recommended to wear comfortable clothes and be prepared to get wet. Cost: $45 for community members. 1 Saturday 2/2/19 10:00 a.m.-12:00 p.m.
2 Monday 2/18/19 10:00 a.m.-12:00 p.m.
3 Friday 4/5/19 10:00 a.m.-12:00 p.m.
4 Tuesday 4/16/19 10:00 a.m.-12:00 p.m.
Each class meets once for a total of 3 hours of instruction. This class focuses on improving the health of our local waterways. We will split up into small groups on kayaks with all materials necessary to aid our cleanup. From there we will take various routes throughout the harbor collecting trash and looking out for sea life along the way like sea lions, crabs, and starfish. After we get back to the dock, we will sort and total all of our findings. This is a great opportunity for students involved in classes or clubs that require volunteer hours and have some fun while doing it! It is recommended that you take our Introduction to Kayaking class prior to attending one of our cleanups, but it is not required.. Cost: $45 for community members. 1 Saturday 3/9/19 10:00 a.m.- 1:00 p.m.
2 Saturday 4/27/19 10:00 a.m.- 1:00 p.m.